“Living in Alabama and telling someone you want to pursue a career in fashion is like telling your parents that you’re planning your financial future around winning the Florida lottery. They just look at each other and sigh”. The above cute quip from DailyFashionJobs.com contributor Mary Caitlin Ward. Read the rest of her charming article about breaking into the fashion biz despite small town roots here. *Caveat: Ward hasn’t actually “broken” into the industry just yet (she’s a student), but she’s a great writer and has sound advice beyond her years. AS ALWAYS, CHECK BACK THROUGH THE MONTH FOR UPDATES. Candidates must have proven relationships with luxury depart store and specialty store buyers. Compensation based on experience. Full Time and freelance positions available. Find out more at stylecareers.com or apply at the company Website here. print techniques, embellishments, appliqués, and embroidery. – Fundamental knowledge of colors, composition, typography. – Ability to visually translate ideas into a final product. MUST BE ABLE TO ILLUSTRATE BY HAND!!! 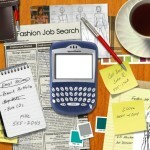 Go to stylecareers.com for more info; To apply visit the company website here. Patternmaker needed for Laundry by Shelli Segal. Must have draping experience. Must have experience with dresses. • Constructing stand out campaigns that inspire ASOS customers. • Campaign management responsibility encompassing brand activity, major new product launches, support and development of our family of ASOS own label lines and product and retail focussed priorities. • Enhancing our share of voice through a network of intelligent, brand relevant partnership activity including paid sponsorship, strategic partnerships and collaborations with other brand and content partners. • Pro-actively identifying, negotiating and managing these relationships from concept through to implementation. • Managing and developing a team of two. For more info and to apply go to the company’s Website here. This role will be critical in the distribution of assets to all relevant areas, a key focus being the asset management relating to the new e-commerce site being launched in September. You will be responsible for the daily review of all pages on the site and will edit as per the fortnightly calendar that you will agree with Marketing and Creative teams. For more info or to apply, visit the company’s Website here. Weekend ATL: Eyedrum + Video Art = Yeah! The new background is fresh!